PDP president Mehbooba Mufti's motorcade was hurled with stones in Anantnag district of Jammu and Kashmir on Monday while she was returning from a shrine there. 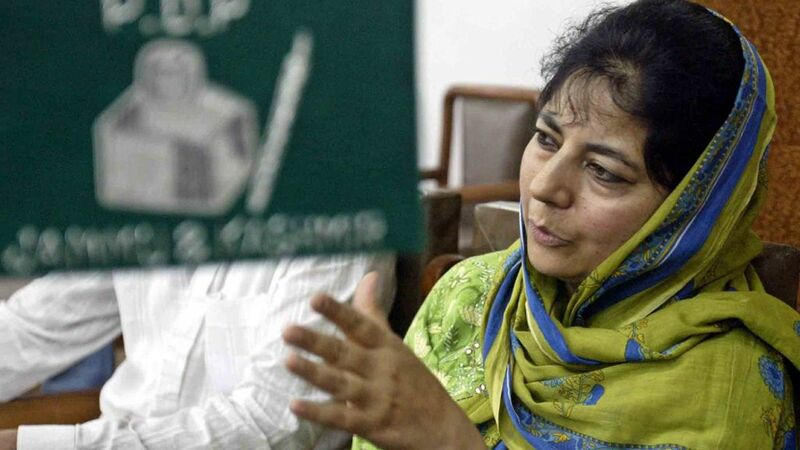 Mehbooba had gone to a shrine at Khirram in Anantnag district to pay her obeisance and was returning to Bijbehara when the incident took place, they added. One of the spare vehicles in the former Jammu and Kashmir chief minister's motorcade was damaged in the stone-pelting and the driver was hurt, the officials said.